Home » Uncategorised » Autumn Surgeries Announced! 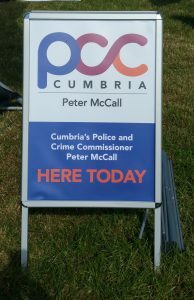 Cumbria’s Police and Crime Commissioner Peter McCall is inviting people to come along and share their views on policing in Cumbria. He will be holding a series of public surgeries over the autumn, and is encouraging people to go along. Peter McCall said: “A significant part of my role is listening to the public, and I am pleased to announce that I will be out and about in the county over the next few months. I would welcome the opportunity to meet as many people as I can, and listen to their views.